OFW - Bagong Bayani ng Lahing Pilipino! 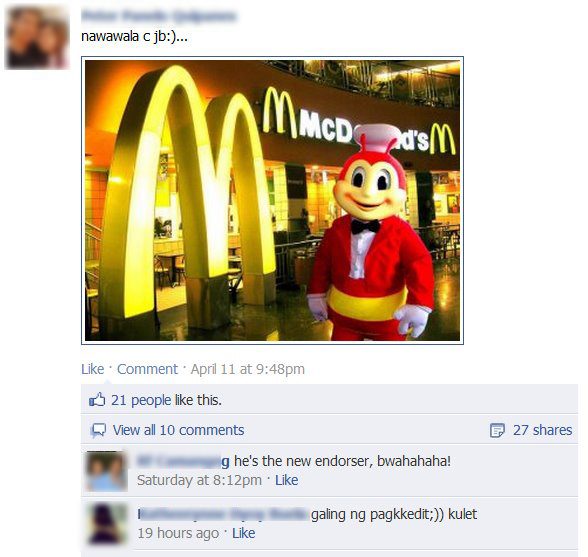 Check out this Funny Pinoy Image where it's quite unusual the Jollibee Mascot is on Mc Donalds store. This Jollibee in Mc Donalds store picture is posted and shared in different social network and blog sites. It's for you to judged if it's edited (photoshopped) or real, but at the end this is really funny and cool one. Alec Dungo, the "Chinito Gwapito” of Laguna is evicted in the Pinoy Big Brother (PBB) Teen Edition 4 during the 9th Eviction Night on Friday with 5.35% of final vote. 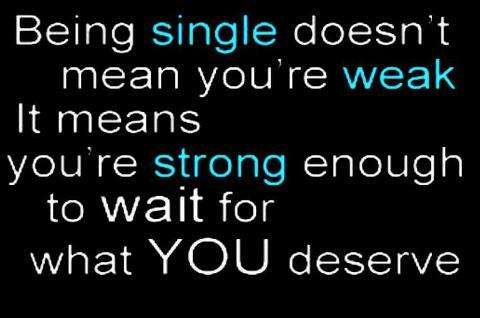 Looking for a perfect Being Single Quotes for you? perfect to drop by to see this inspirational Single Quotes Image for you to share with. This image is posted in different social network sites and blog sites. Hope you'll like it! Internet WiFi is very popular nowadays, from malls, coffee shops, in school campus, or even in your friendly neighborhood. Well check out this Funny Pinoy Jokes Image which features FREE Wifi even in Jeepney. Image is also posted in different social network and blog sites. 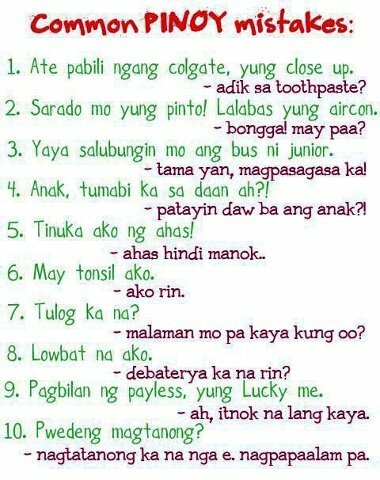 Check out this sample of Tagalog Best friend Funny Jokes which features conversation of bestriend Juan and Pedro. Image is said just posted on social network and blog sites. Pedro: Pre Kelan birthday mo? Alangan naman Sometimes, di ba? 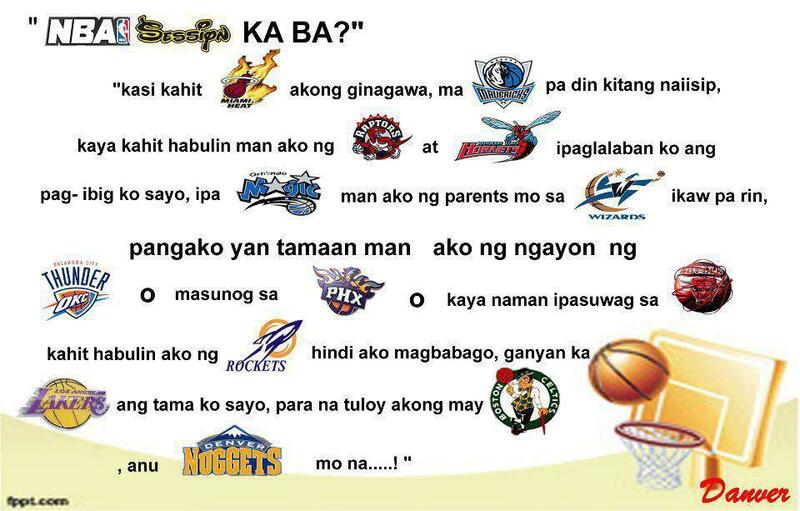 Check out this NBA Tagalog Pick Up Lines Images which features the teams from NBA, it is viral and posted in different social networking and blog sites. Hope you'll like it! Kasi kahit MIAMI akong ginagawa, ma-DALLAS pa din kitang naiisip, kaya kahit habulin man ako ng RAPTORS at HORNETS ipaglalaban ko ang pag-ibig ko sayo, ipa-MAGIC man ako ng parents mo sa WIZARDS ikaw pa rin, pangako yan tamaan ako ng ngayon ng THUNDER o masunog sa PHOENIX o kaya ipasuwag ako sa BULLS kahit habulin ako ng ROCKETS hindi magbabago, ganyan ka LAKERS ang tama ko sayo, para na tuloy akong may BOSTON, ano NUGGETS mo na? •Teens - You have all the time and energy but no money. •Workers - You have the money and energy but no time. •Oldies - You have all the time and money but no more energy. 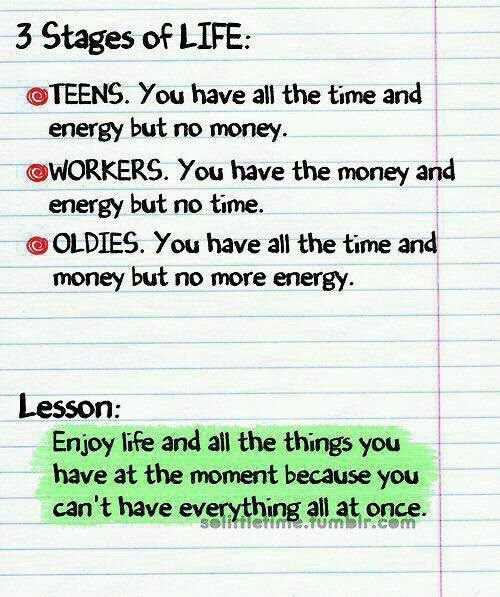 Enjoy life and all the things you have at the moment beacuse you can't have everything all at once. 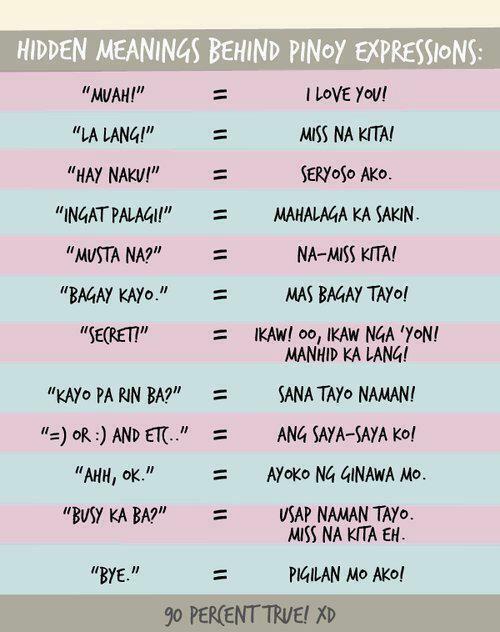 Here's some list of Funny Common Pinoy Mistakes posted in social networking sites and blog sites. Ate pabili ngang colgate, yung close up. Sarado mo yung pinto! Lalabas yung Aircon. Anak, Tumbi ka sa daan ah! Pagbilan ng payless, yung lucky me. 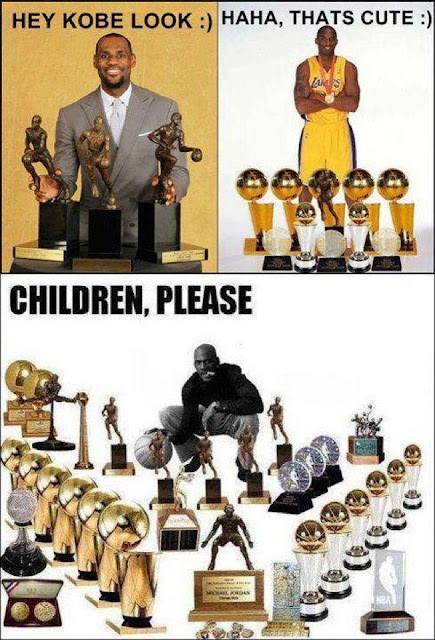 Lebron James, Kobe Bryant and Michael Jordan: Who's The Best NBA Player? Lebron James finally grabbed his first NBA Championship Title, some people thought would it the first and last? or would it be another run for him and the rest of the Miami Heat to take another title? Let see and found out in the next NBA Season. For now, check out this funny image posted and shared in different social networking and blog sites, who do you is the Best NBA Player for you? is it Michael Jordan, Kobe Bryant or Lebron James? Here's some major achievements in the NBA. If we missed any achievements, simply add in comment below or just email us with a subject: best nba, and will posted up for you. After the news reported about the critical condition of Dolphy, which according to his son Eric Quizon the Comedy King Dolphy in critical condition at ICU of Makati Medical Center on Wednesday June 20, 2012, it become trending in social networking site Twitter and viral in Facebook for the Prayers for the Comedy King. 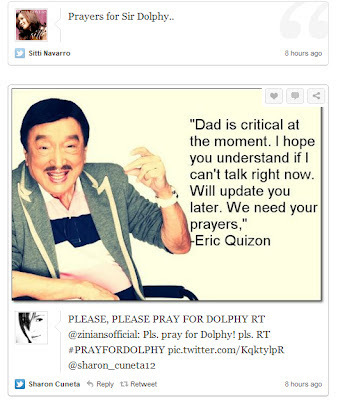 Eric Quizon stated and posted in twitter, "Dad is Cratical at the moment. I hope you understand if I can't talk right now. Will updated you later. We need your prayers". The Miami Heat take command and just a win away of grabbing the NBA title after the impressive performance guard Mario Chalmers to beat Kevin Durant's beat the Oklahoma City Thunder with a 104-98 on Tuesday (Wednesday, PHL time) for a 3-1 lead in the NBA Finals. Chalmers scored 12 of his 25 points in the last period to lift the HEat all through the fourth quarter. The Big Three led by Lebron James made 26 pts, Dwayne Wade has 25pts and Chris Bosh added 13 pts for the Miami Heat. 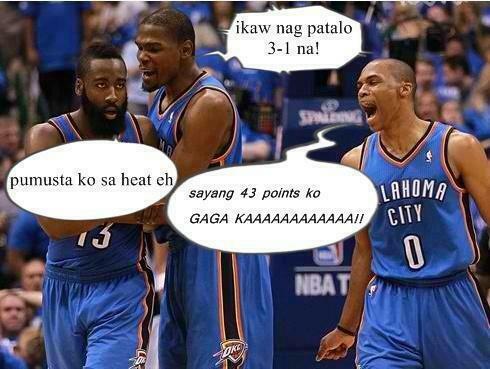 After the Game 4, here comes another Tagalog Funny Jokes Images which features funny conversation of Oklahoma Thunder's Big Three Kevin Durant, Russel Westbrook and James Harden. The said photo is become viral and posted in social media sites such as facebook, twitter and other blog sites . Pinoy Big Brother Teen Edition 4 housemates faced the 8th nomination night last night and there 4 pbb teens are selected for the nomination. For the actual votes, Yves Flores “Masunuring Son ng Tarlac got a 7 points, Myrtle Sarrosa “Cosplay Cutie ng Iloilo” got a 4 points, the “Hagikgik Chick ng Mindoro” Karen Reyes received 3 points and the “Pilyong Binatilyo ng Angeles” Ryan Royce received 3 points. How do you categorized your supervisor, manager or your immmediate superior with this image which features the characteristics / traits of a "Boss" and a "Leader". The report stated that Kanye West did just that, tweeting a cheeky snap of a woman who looks like Kim Kardashian sitting naked at the dinner table eating a banana. However, Kanye West removed the pic instantly but the damage was already done. The image went viral as on Twitter, blog sites and other social networks. Then the report followed that reality TV star made Tweeple mistake her for Kim Kardashian while actually the pic is of Amia Miley. Meanwhile, Amia Miley clarified on Twitter that she’s the one on the photo and not Kim Kardashian. “That’s how I like to eat breakfast. I’m confused. Im not going 2 argue about whether that pic is me or not … want proof? look at the back dimple piercings. Kim K doesn’t have those,” she said. 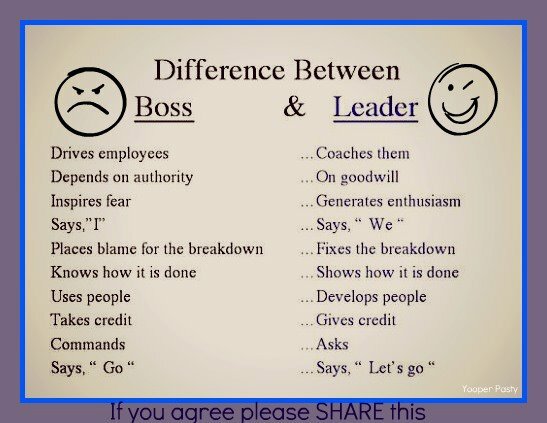 image credit to rightful owner, posted on twitter. 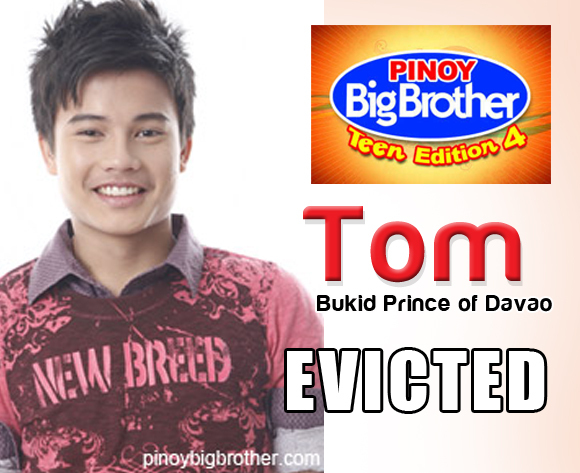 Tom Doromal , the "Bukid Prince” of Davao is evicted in the Pinoy Big Brother (PBB) Teen Edition 4 during the 7th Eviction Night on Saturday with 17.26% of final vote. Galing sa komportableng buhay sa Davao si Tom. Nabansagang “Bukid Prince” ng Davao, sumali siya para maranasan ang once-in-a-lifetime experience na maging Official Housemate. 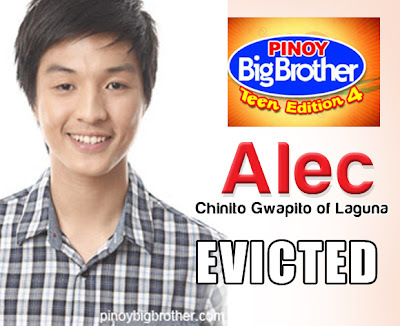 In fact, kino-consider niyang biggest accomplishment ang pagiging parte ng Pinoy Big Brother: Teen Edition. “I’m a friendly person,” sabi ni Vince at dahil dito, sigurado siyang madali niyang makakasundo ang ibang Housemates. Medyo ilang nga klang siya sa mga taong masakit magsalita. Ang pagsali niya sa PBB ay dedicated sa kaniyang hometown na Davao City. On June 8,over 50 million Smart Subscribers offered to access the Facebook Free and they can get on the social networking site with virtually any kind of cellphone they have in their hands. To have this benefit prepaid subscribers should maintain P1 maintaining balance and should only browse Facebook otherwise regular rate would apply. 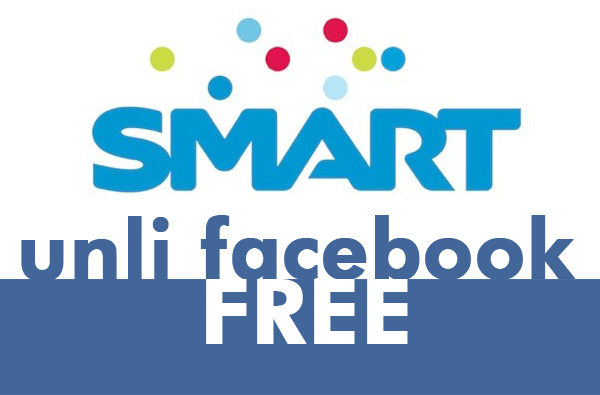 To get started, Smart subscribers simply need to text FB to 211, then click on the download link which will be sent via SMS for free. 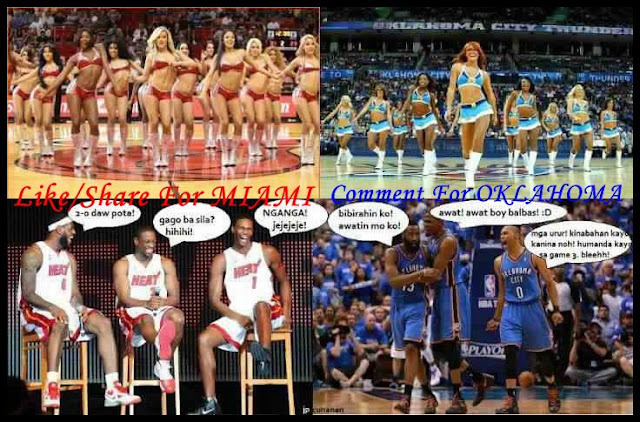 NBA Finals is tied at 1-1 as the Miami Heat beat the Oklahoma Thunders last Thursday Night (Friday, Philippine time). The Miami's big 3 come up with a big game led by Lebron James 32 pts. and now send the series to Miami. 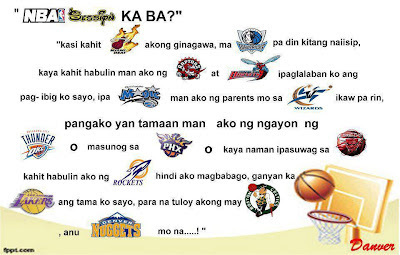 As we wait for the Game 3 of NBA Finals, check out this Tagalog Funny Jokes Image which features the Miami Heat's Big 3 (Lebron, wade and Bosh) and the OKC Thunder's top players (Durant, Westbrook and Harden). The said image is posted, shared and viral on different social media sites and blog sites. "Muah" - I Love You! "La Lang" - Miss na Kita! "Musta Na?" - Na-Miss Kita! "Bagay kayo" - Mas Bagay Tayo! "Secret" - Ikaw! OO, Ikaw nga yon! Manhid ka lang! "Kayo pa rin ba?" - Sana Tayo Naman! 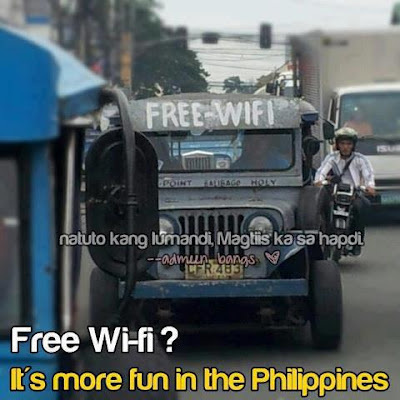 "=) or ;) and Est..." - Ang Saya-Saya ko! "Bye" - Pigilan mo ako! 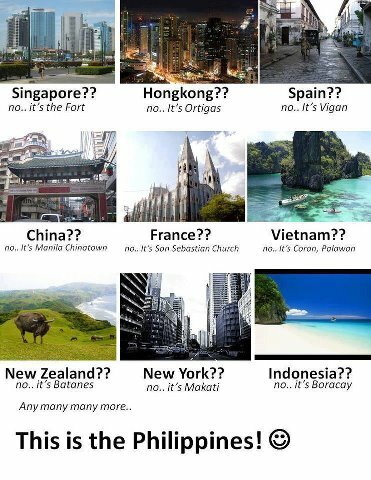 Check out this beautiful image where it features the some Philippine Place and Tourist Spots relating to countries which somehow in common. 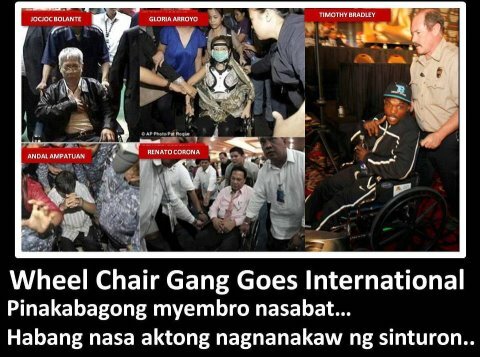 The said photo is now viral and posted in some social media network and blog sites. 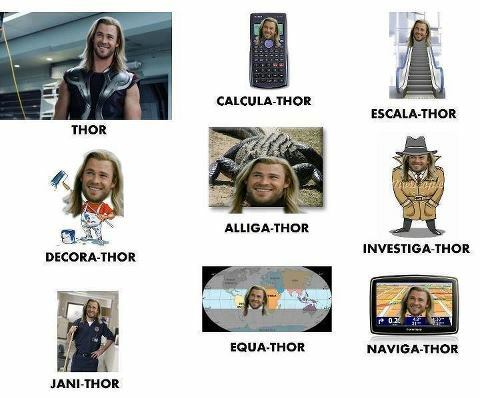 Check this Funny Picture Image which features different funny names and images of Thor (Chris Hemsworth) which is posted on different social media and blog sites. Check out this compilations of New Facebook Emoticons Chat emoticons. Use the Facebook Smileys and Emoticons while reconnecting with friends and family on the most popular social networking site online. If you have your own Favorite Facebook Chat Emoticons, simply post it on comment below. All you need to do is copy / paste it in your chat box while chatting with friends. Hope you'll like it! After the controversial sports boxing event in world of boxing last June 9 at Las Vegas Nevada whereas Timothy Bradley shocked the world as he grabbed the the WBO Welterweight Champion from Pound-for-Pound king Manny Pacquiao via split decision. Here comes so many version of edited (photoshopped) images and photos which features people involved in that said event. Check out this Funny Tagalized Lyrics of Price Tag (popularized by Jessie J) which posted and viral on different social networks and blog sites. Habang nasa aktong nagnanakaw ng Sinturon..."
Boston Celtics come up short with Miami Heat in their NBA Western Conference Finals Game 7, while the Pound-for-Pound king Manny Pacquaio lost his WBO Welterweight belt to Timothy Bradley via controversial split decision. Check out this Tagalized Funny Photo of Boston Celtics and Manny Pacquiao which viral and posted in social networking sites.